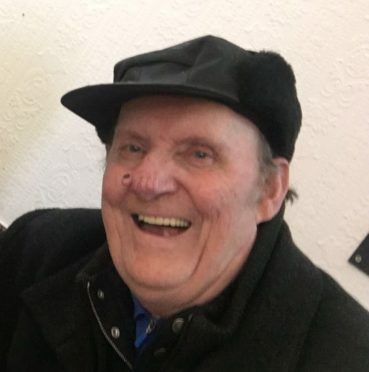 A family yesterday paid tribute to a “hardworking and kind man” killed in a fire in his own home at the weekend. Relatives of Alexander Smith, who was known as Sandy, have said they are shocked and saddened by his death. Emergency crews rushed to the blaze at the property on The Leys near Macduff shortly around 5am on Sunday. The 76-year-old died at the scene. One of his neighbours was also evacuated from his home as a precaution but no-one else was injured in the fire. Police have confirmed there were no suspicious circumstances. Yesterday Mr Smith’s family paid tribute to him in a statement. They said: “Sandy was a hardworking, kind man who was much loved by his family. The well-known pensioner used to own a butchers shop in Cuminestown and was well known. Locals posted messages of sympathy to Mr Smith’s family on social media. Facebook user Margaret Smith wrote: “So sad to hear this, Sandy was my Granny’s butcher for years, visiting the house every week. Another, Morag Ritchie said: “So very sad, thoughts are with his sons and family at this very hard time. Mr Smith’s neighbour Alan Greenlaw, who had lived in the house next door for over two decades, said he would always be willing to lend a hand and offered him lifts in his car. He said: “He was a very honest guy. “When he was driving he would always stop and give you a lift. Three fire engines rushed to the scene of the fatal fire at the weekend and managed to extinguish the blaze in around an hour. The scorched building was boarded up and locked by council workers later on Sunday afternoon. Detective Inspector Sam Buchan said: “Our thoughts remain with Alexander’s family at this sad time. “I can confirm there are no suspicious circumstances.